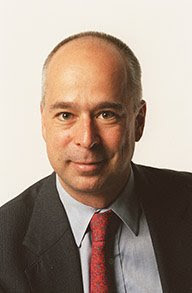 the nytpicker: Should Adam Liptak Have Quoted An Obama-Hater As An Obama Expert? Should Adam Liptak Have Quoted An Obama-Hater As An Obama Expert? In Adam Liptak's lead front-page piece today on President-elect Obama's stand on detention, the legal reporter turned for expert opinion on to a former federal prosecutor named Andrew C. McCarthy. No, not the star of "Pretty In Pink" -- the right-wing National Review columnist who wrote of Obama in October: "I believe that the issue of Obama's personal radicalism, including his collaboration with radical, America-hating Leftists, should have been disqualifying." McCarthy makes an odd, inappropriate choice for someone to provide analysis to a Times reporter sifting through the complex political and legal pressures on the new President to deal with the detainee question. He has served as a lawyer for Rudy Giuliani, and has written extensively, and negatively, about Obama during the campaign, often criticizing the Democrat for his ties to radicals like former Weather Underground leader Bill Ayers. But that didn't stop Liptak from quoting McCarthy as a legitimate source on the question of whether Obama can afford the political fallout from further detaining Ali al-Marri, a Qatari student arrested in 2001, who the Bush administration has accused of being a sleeper agent for Al Qaeda. He has been detained, uncharged, at the Navy brig in Charleston, S.C. Still, Andrew C. McCarthy, a former federal prosecutor who has generally supported the Bush administration’s approach to fighting terrorism, said Mr. Obama’s hands are tied. He cannot, Mr. McCarthy said, continue to maintain that Mr. Marri’s detention is lawful. McCarthy's experience as a former federal prosecutor makes him a legitimate source of information and perspective on detainees and terrorism trials; that explains how he has turned up in numerous Times stories in recent years, by Liptak and other reporters. But now that McCarthy has made himself so public a political opponent of the new President, the Times needs to reconsider its regular use of him as an expert -- or at least find a better way to identify his bias when including him in stories about Obama. At the very least, readers have a right to know the political opinions of experts who are expressing political opinions themselves.